If you didn’t catch them already, read the first and second parts of this post series. An integral part of moving abroad for a postdoc is, well, the actual moving bit. Depending on the length of the stay, possible ownership of an apartment or house in the country of origin, and family considerations, the move can have many forms. In my case, since I am staying for (at least) 2 years, don't own an apartment in Finland, and have no binding reasons not to, I am moving everything to Vienna. This is thus what I will discuss in this post. Also, I am moving from one EU country to another, which makes things significantly simpler, so bear that in mind as well. A key consideration in such a move is how to get one's stuff safely to their destination. Depending on how far you are moving and how much stuff you have, renting a van and driving it yourself could be an option. It's about 1400 km from Helsinki to Vienna, but taking a ferry to Poland or Germany would cut the distance to less than 1000 km – definitely drivable. Since I don't have that much stuff, in principle this would had been an option for me. However, it's quite difficult to rent a van from Finland that you can return to another country, while I hear it's much easier elsewhere in Europe. Obviously, if you are moving to another continent, a professional moving company is the only option. In any case, as I mentioned in the previous post, I have a grant specifically meant for covering moving costs (thank you, SKR! ), so I didn't think twice about hiring a professional moving company to handle the move. Based on recommendations from friends and the offers I got via a handy competitive bidding service, I chose the company Pegasus Moving. They were kind enough to match the one slightly better offer I got, and some of their people are friends with colleagues of mine. I also paid for an insurance for all my stuff, whose total value I estimated at 10000 €. The cost of the move is 3750 €, and the insurance is only 220 € on top of that, so it was a non-brainer. I also got some sturdy foldable cardboard boxes for packing my stuff, which I'm in the process of doing right now. They will come pick up my stuff next Monday, so hopefully everything is packed by then! Moving the stuff to Vienna will take 8-10 days, so I'll have to live out of a suitcase for a few days at both ends. The other very important ingredient of a successful move is naturally the apartment one is moving into! Again, within the EU, there are very few barriers to renting an apartment in another country – likely they will want to see your employment contract and salary, as was the case for me – but apart from that, funded postdocs seem to be welcome tenants. Your mileage may, however, vary. Again my situation was made much simpler by the aforementioned moving grant. In Vienna, most apartments are rented by housing agencies, and unlike in Finland, their fees are paid by the tenant. One friendly broker told me that this is the way it should be to ensure that the tenant, and not the renter, is the principal customer of the agency. Not sure about that, but I did receive very good service from a couple of agencies despite my lack of German. In Vienna, the agency fees seem to typically be 2 months rent, plus some mandatory registration costs etc. With a 3 month rent guarantee the fees stack up to almost 4000 euros, tidily eating up the second half of my grant. Sure am glad I got it. I started browsing apartments on the internet 3-4 months before the move, but this turned out to be a bit too early. Most apartments get rented in less than two months, so even if you find a nice one, they won't keep it empty for that long. But it was useful to find good sites and get a feeling for the market beforehand – incidentally, rental prices in Vienna seem to be about 2/3 of the Helsinki level, which is nice. Having found a few nice possibilities, I set up several showings with the brokers for two days in the of July, and booked a flight to check them out in person. Although one could make a choice just based on the pictures and a floor plan (and perhaps having a local friend or colleague visit a showing), going there in person definitely made things smoother. In the end I only ended up going to the showings for both of my top 2 apartments. They were extremely different in nature for about the same price, and I before I knew it, I had offers from both just waiting for my signature to confirm. A couple of rounds of Facebook consultation amongst my circle of friends, and an evaluation of the yearly temperatures and rainfall trends in Vienna, cinched the case for a bit smaller apartment with a large roof terrace. As is typical for me, it was the first apartment I looked at. The agency offered a package service for handling the electricity contract, registering with the authorities and various bits and pieces for 200 €, which I also took. Apart from those two major issues, there's a bunch of practicalities to take care of. I've had to let go of my current apartment, end the internet, electricity and insurance contracts, register the move with the authorities, and so on. Nothing particularly different from just moving within the country. On the Austrian side I still haven't got much else apart from the apartment set up. To get internet you need a bank account, and to get a bank account you need to be registered with the city officials, and to do that you need to have the official signed contract for the apartment. I'm just getting the last bit in the chain sorted out now. So I've figured that I'll take care of all that when I'm there. Of course, I'll get a phone number and email from the university, and will have to buy a laptop from my grant there (holding out for the new Haswell Macbook Pro's, though). I can graciously keep my present Aalto laptop until then. Speaking of email, leaving my present affiliation at Aalto is a big deal. I've had the same email – first as a student at the Helsinki University of Technology and later as a graduate student and postdoc at Aalto – for 11 years. All of my online life is linked to that email. So I am now future-proofing my online presence by getting an iki.fi forwarding address, which I can then point to where I happen to be affiliated at. I only wish I had done this 6 years ago :) I'm also sure there are similar services in other countries as well. Those were pretty much the main points I had in mind. I'll be sure to update / follow-up if any surprising issues crop up. You're also very welcome to ask in the comments if there's anything particular you would like the hear more about! I've been seeing and saying goodbyes to a lot of friends over the summer, and am holding a farewell party of sorts next weekend. Thus I feel socially well prepared for the move, which is something I feel is a very good idea to pay some attention to. You don't want to feel like there's loads of unfinished business before starting a new life in a new country. 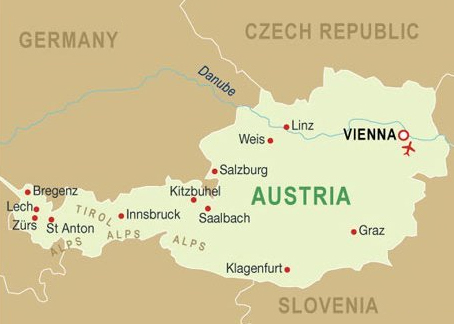 So, I have a one-way flight to Vienna on Saturday August 31st morning – wish me luck!